It’s the season for the Shampoo Ginger Family. 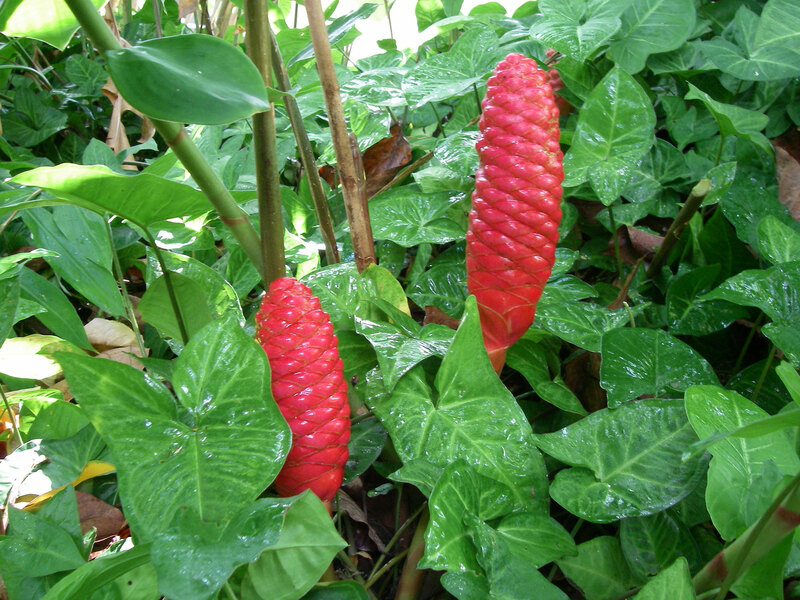 When the ‘awapuhi-kuahiwi flowers initially appear, they are green, but turn to bright red as they mature. 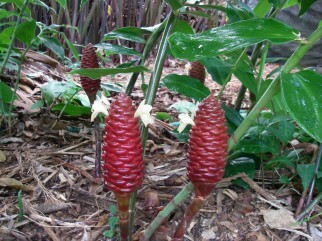 “Chocolate” Shampoo Ginger is another variety that Kalani Tropicals grows, named for it’s chocolaty brown color. The mature flowers have a pleasant scent and contain a foamy juice that you can wash your hair with. The plants produce leaf stalks 5′ long and grow in the moist shade, with the flowers appearing at the base. Delicate small yellowish-white flowers poke out of the cone-shaped flowers. After 3 – 4 months of flowering, the plants will go dormant again. Although the plant originated in India, it was brought to the Hawaiian Islands centuries ago as a ‘Canoe Plant’ with the early Polynesian settlers. 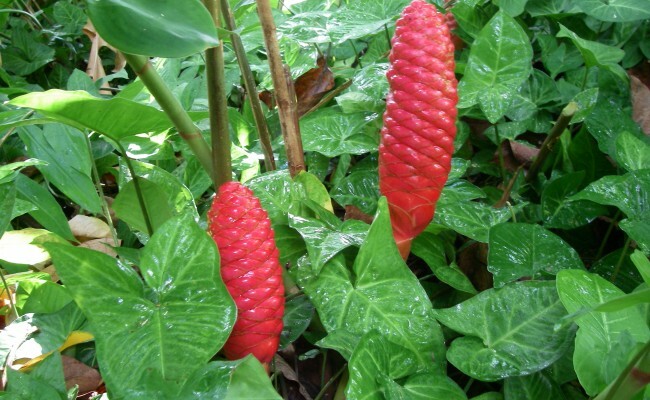 Apparently the early Hawaiians also used the ‘awapuhi rhizomes for headaches, toothaches, skin diseases, cuts, and bruises.